Yoga and Wine in the Valley: our first retreat was a huge success! 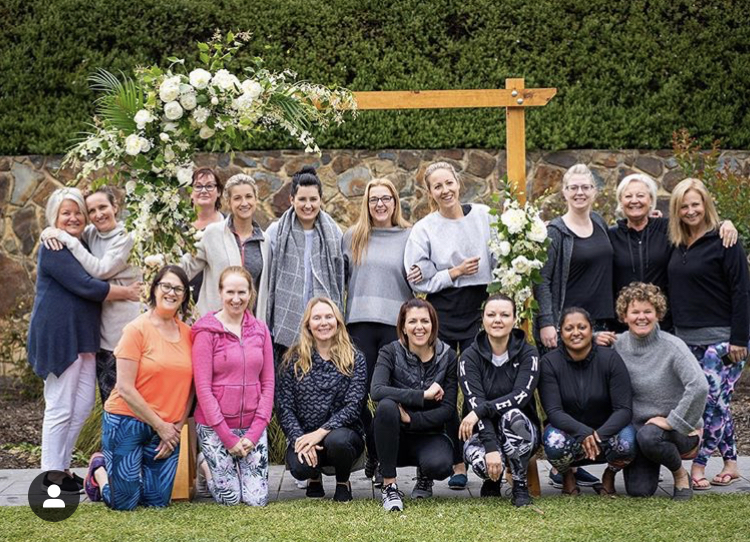 On 23rd & 24th November 2018 we held our very first yoga and wine retreat at the beautiful Yarra Valley Lodge. Just over 45 minutes drive from Melbourne, the Yarra Valley is the perfect location for a weekend retreat. Plus as one of Australia’s premier wine regions, we were spoilt for choice when it came to the wine tasting! 15 beautiful women joined us, some travelling from as far afield as New Zealand for the retreat. After a welcome morning tea guests enjoyed yoga with yours truely, followed by a nourishing lunch and then on to the essential oils workshop with lovely Bethany. There they created their own cleanser, toner and face serum using their preferred blend of essential oils - divine! After a few hours of free time to explore the resort or chill out, we met up for a group wine tasting to sample some of the region’s finest wines. Here we had the chance to mingle and get to know each other whilst sipping on some (very generous!) tastings of wine. Then on to dinner in a private dining room for three courses of wonderful cuisine served by the Yarra Valley Lodge. We eased into our Sunday with a gentle Yin yoga class, followed by more amazing food at breakfast (who knew Yin yoga could work up such an appetite?!) Then it was time to say our goodbyes and make our way home, basking in that wonderful glow that relaxation gives you! 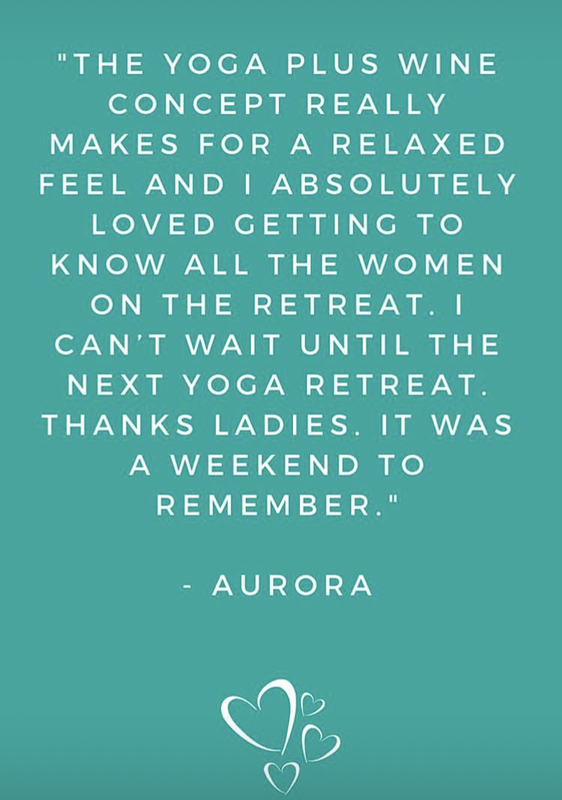 If you’re considering a retreat but not sure which one to pick, we really think you love our Yoga & Wine Retreats! They are the perfect blend of wellness and fun, leaving you feeling relaxed and refreshed but not deprived. Check out the website for a list of upcoming retreats; we hope to meet you very soon!